In the era of President Donald Trump, everyone seems more riled up than usual—even scientists. That’s not a bad thing, though. That activation gave us the March for Science last year and the important conversations that came out of it. Like ones about race, gender, class, and, ultimately, justice. 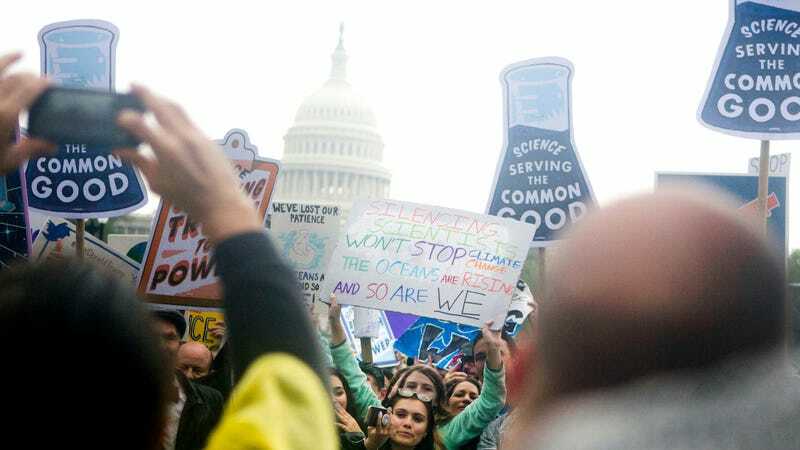 Those conversations continue today, and the Union of Concerned Scientists is now trying to take that conversation even further through a new blog series, Science for Justice. The blog will feature the writing and musings of scientists who do authentic work with low-income and communities of color, to engage with other scientists who maybe don’t. The goal? Offer some advice to scientists who want to do a little more in the current political climate because it’s about time that disenfranchised communities receive some attention from all scientific fields. Johnson, who worked on marine mammals and fisheries before joining the Center to focus more on connecting communities with researchers and data, has been a major driving force within the Union of Concerned Scientists to get the ball rolling on this monthly blog series. The way she sees it, “science and social justice are inextricably linked.” That view isn’t really the status quo right now, though, and she’s hoping that changes. Johnson hopes to see the series cover the notion that science is never really objective. Sure, scientists need to put their biases aside when doing the work, but they also need to acknowledge the biases that seep into their work so that their work better represents the communities it’s looking at. For example, when community members blame a toxic facility for their high cancer rates, Johnson wants researchers to hear them out and take their experiences into consideration. The people living with pollution every day are experts on their situation, after all. A key role of scientists, she says, is to help disadvantaged communities uncover the evidence they need to convince decision-makers to take action. Scientists help build the evidence that drives policy and keeps communities healthy. But if they don’t start connecting more with real communities and their problems—especially under an administration that doesn’t prioritize science or public health—those marginalized will be the ones that suffer.